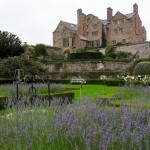 While we’re on the subject of popularity building, there is something of a family dynasty of its own here with The Angel Hotel Abergavenny joining the Michelin starred Walnut Tree, the restored Chapel venue with its Arts Shop and trendy cafe, a soon to open bakery and the historic Hotel Abergavenny. All part of the same family owned stable. Having said all that, reputations are built on delivery and for me, The Angel Hotel Abergavenny deserves its plaudits culminating in Hotel of the Year Wales for 2016. 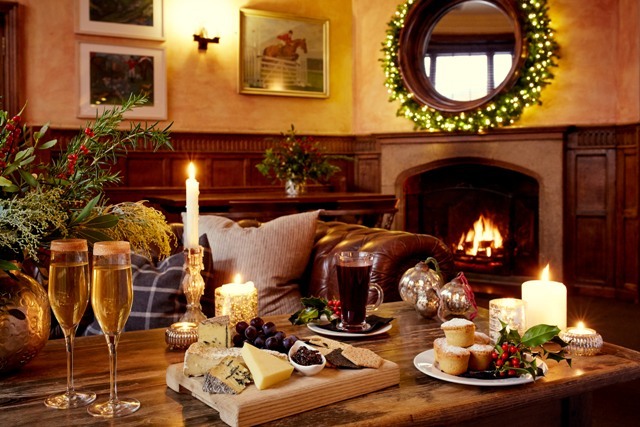 It has all the hallmarks of a comfy country inn; the roaring log fire, the rustic wooden beams and the welcoming smile. But it goes way beyond that once you take a closer look. 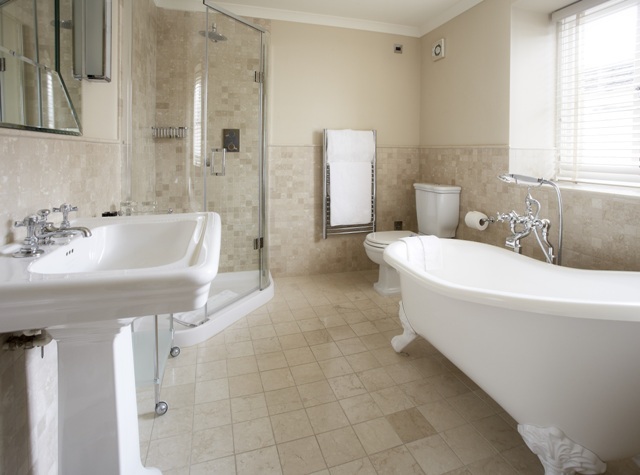 All the guestrooms have a touch of class about them; Lewis and Wood fabrics, silky Percale bed linens and Villeroy and Bosch bathroom fittings. But things get a little more classy when you move up to Superior or Deluxe with a more generous living space, overstuffed settees and 6ft. king beds. The surprises continue downstairs where afternoon high tea is nothing short of ceremonial. The Angel Hotel Abergavenny is a proud member of the distinguished UK Tea Guild and has held a Tea Guild Award of Excellence every year since 2008 and was awarded its top national award in 2011. Make no mistake, this is akin to winning an Oscar in the tea business, and I can see why after sampling this legendary repast. Just reading the list of tea varieties on offer is epic. 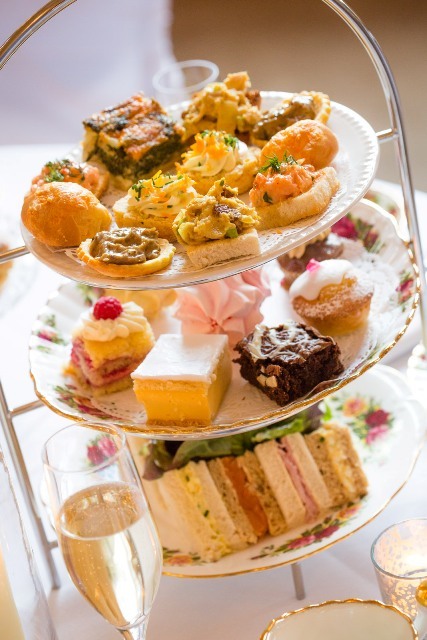 The sandwiches are delicate morsels of scrumptiousness, the savoury pastries have that warm buttery just baked texture and the scones are beyond description. Then, of course, the cake and sweet pastry course follows…. This is not just high tea. It’s an art form. Perhaps even, a religious experience. It’s something you might expect at The Langham London, or The Savoy, not a three star hotel in south Wales. The Oak Room is also the venue for breakfast, lunches and dinners. The fare might not be the Michelin Star level on offer over at The Walnut Tree, but is nevertheless high quality and highly affordable. However, I take the opportunity to sample an somewhat alternative menu over in the hotel’s Après Ski Bar, an alpine style hut in the courtyard that opens throughout the winter season. 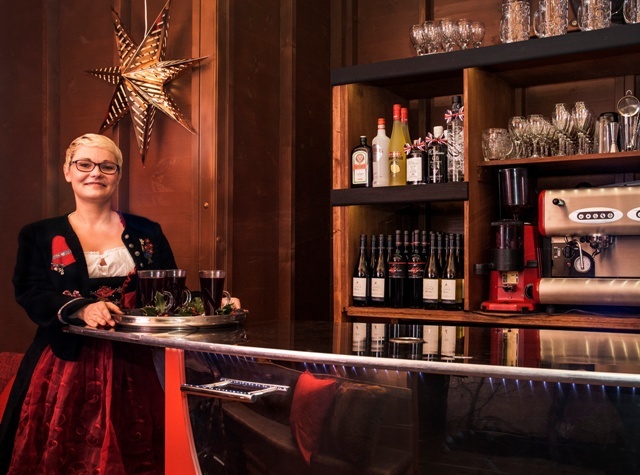 It’s a cosy place, made all the cosier after a few glugs of house made gluhwein and some authentic Swiss fondue served by hotel staff dressed in alpine costumes. It might sound cheesy (if you’ll pardon the pun) but given the venue, I think it all works rather well. 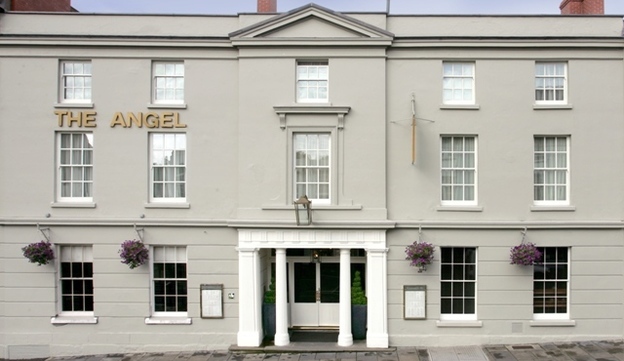 The Angel Hotel Abergavenny is an ideal place to stay for a trip to the Brecon Beacons. it’s in the centre of town, just a few steps from the old castle ruins and no more than a ten minute walk from the railway station. Abergavenny might not be on your visit list, but I suggest you rethink your travel plans and sample Wales’ go to foodie heaven. GWR runs very frequent services to Newport south Wales from London Paddington, return fares from £70.40. Abergavenny is just a 20 minute local service from Newport. Stayed there last weekend. 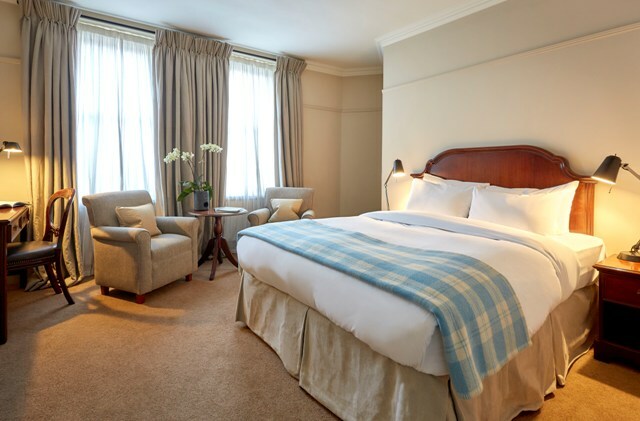 Service impeccable, the rooms extremely comfortable. A great base to see the area.